The conventional wisdom reveals more about us than about Iraq. One of the more curious aspects of the commentary on this war has not been the bias of the mainstream media but the cynical punditry that somehow ends up as the conventional wisdom among our New York and Washington elites. Here is a small sample of misplaced metaphors, allusions, and conventional wisdom of the last three years. “You break it, you bought it”–so we were told ad nauseam throughout the war in Iraq. Bush and his Team America posse supposedly barged into an upscale store, rashly knocked over items, and now, quite startled, must stay on and pay the tab for the mess they made. How deep. In truth, it was the wrong metaphor even before becoming hackneyed. The Pottery Barn image doesn’t work for a variety of reasons. First, Saddam’s Iraq was not a pristine, upscale shop. It was, rather, a trash heap of broken shards–its power, water, sewage, and garbage all fractured and scattered in pieces; its people both brutalized and often brutalizers as a result of three decades of institutionalized mass murder; its leadership a choice between Soviet-era killers and Dark Age jihadists. Second, unlike the naïve buyer who takes umbrage that he must pay for something he inadvertently knocked over, we went into Iraq with the explicit intention of fixing things. Indeed, we announced quite openly that we did not want a repeat of Lebanon, Afghanistan of the 1980s, Mogadishu, or the first Gulf War, when we let the locals murder and bomb after we pulled out. Third, the peeved naïf of the metaphor is left shelling out money for something that is permanently ruined. But we are mending the ware that others smashed, hoping to ensure that what we leave behind is far better than what was there when we arrived. Reporters always allude to this nugget as they beam back video footage of street fighting from Iraq. Still, our talking heads seem not quite bold enough to repeat the aphorism explicitly in connection with Fallujah or Sadr City, since they have a vague notion that there is something quite wrong about this urban myth of Vietnam lineage. And, of course, there is something quite wrong with it. Peter Arnett once claimed that a U.S. army major had told him Americans had to destroy the village of Ben Tre to save it from the Viet Cong during the Tet offensive. But Arnett never verified, much less produced, his source–and the town was mostly shelled by the Communists anyway. An exhaustive investigation by the Pentagon never found any such official who said anything such thing. Given Arnett’s later “scoops” about the purported American use of Sarin gas in Southeast Asia and his more recent versions of the truth beamed back from Baghdad Bob’s Iraq, we can rightly question whether the adage more likely reflected the cynicism of a jaded reporter than the doctrine of a soldier on the ground. A good rule is, when you hear Arnett’s fabrication promulgated on the news, assume that it is once again being used for its original purposes of distortion–like the example of Jenin when it was still neat to say that the Israelis had unleashed a Leningrad to save the city from terrorists. Nevertheless, the quip has entered the popular culture, and it supposedly illustrates how sophisticated journalists alone can stand back and “really see” what is going on in places like Fallujah: Our clueless Marines blow apart good houses one week, only to spread cash around the next to rebuild them. What a senseless cycle of destruction and creation we have wrought, so typical of a wild America that even at home destroys and rebuilds itself without thinking! Can’t we sit down with the black-masked snipers, adjudicate our differences, and then agree that it makes no sense to fight among the homes and businesses of the innocents? Not until the nature of man changes. There is a reason, after all, why Zarqawi’s killers are in Fallujah and not out in tents in the deserts of Iraq, and why his arms caches and depots are in mosques and his machine-gunners in minarets. That logic transcends terrorists themselves, being age-old and often the same for a weaker, morally bankrupt power that is losing a war. Such evil folk count on their Western enemies to not resort to their own level of barbarity by simply carpet bombing the sanctuaries they inhabit–as if Western democracies over Dresden or Hiroshima were overly picky about who worked at a war plant or troop-train depot and who did not. So the Islamic fascists also hope to operate with impunity from the firepower that would otherwise, on the battlefield, obliterate them in short order. And they assume that if the war really does intrude on the civilian infrastructure, the subsequent carnage will be such that surviving civilians will be more likely to blame the attackers or perhaps the war itself than the killers in their midst who brought such destruction home. Sometimes such logic works, as we saw in the debacle at Fallujah last April. But I wouldn’t bet too often on either the restraint or the weakness of the West when it goes to war. Despite a postmodern morality that cannot distinguish Islamic fascists from the work of Western democratic soldiers, most Americans grasp not only that an enemy must be defeated at all costs, but also that the United States has the ability through GPS bombs and laser-guided munitions to kill lots of the bad and save most of the good. And that is the awful calculus in war, where forbearance in slavish insistence on perfection is the enemy of the achievable good. Second, we are starting to see that this war was never just a question of firepower or the “right” tactics–or even perhaps of “hearts and minds” in the sense of spreading around cash and building good feeling. Equally important was sheer will. If the United States proves militarily adept, terrifyingly unpredictable, and singularly magnanimous to a defeated and humiliated enemy, we will prevail and have Iraqis smiling as they build a Fallujah free of murderous imams and Baathists. But should we abandon it to such folk, then all the untouched mosques and nicely preserved houses will not hide the mayhem that will go on behind those walls for decades to come. Military pros like this one. We supposedly broke the thermometer of Iraq during the invasion. Thus we are now faced with droplets of leaky mercury that split apart as quickly as we try to corral them–in an endless and futile exercise of trying to capture what cannot even be grasped. Thus, Fallujah is subdued, only to see Mosul erupt in some perpetual succession of violence, the terrorists nearly elemental in their uncanny ability to resist being collected and disposed of. Two things are wrong with this smug metaphor. First, once mercury is out of its container, its original utility vanishes. One cannot take one’s temperature with mercury beads that have scattered all over the floor–anymore than terrorist pockets can reform into some central command to recreate Saddam’s reign of terror. The likes of Zarqawi really do have computers, written orders, ATM cards, safe houses, and weapons depots; they don’t float on carpets above the sands of Iraq. Thus, the cleansing of Fallujah was a terrible setback for them all. Second, scattered mercury bits soon become so small that they literally separate into oblivion and are forgotten about. So too with the terrorists: Crush their nests in Fallujah, shut down the borders, raid the mosques, warn Syria and Iran of a reckoning to come for their export of terrorism, hit outbreaks hard elsewhere, and by the January elections once-emboldened Wahhabi and Baathist killers will reluctantly join a Kurdish and Shiite government rather than be crushed between the hammer of Iraqi democratic militias and American air and ground power. For all the talks of virgins, paradise, and beautiful suicides, most of those who survived American firepower in Fallujah chose to run, hide, or be captured. After all, suicide is for young zealots, not pudgy men to whom life has become altogether too dear with its money, fame, and women in the here and now. In short, far from “there is no military solution,” the truth in Iraq is rather that there is no political solution without a military victory and humiliation of the terrorists. Why do we readily embrace such false wisdom? Reasons abound, from our own lack of confidence in American competence and morality to the creepy methods of the Islamic fascists that strike fear into a leisured and prosperous Western citizenry. But for now it is enough to realize that retail metaphors, stale Vietnam-era myths, and pessimism passed off as chemistry tell us far more about ourselves than they do of Iraq–which somehow, like Afghanistan, just zigs and zags forward toward a democratic future. Finally, on this Thanksgiving let us remember that, for all their snarls and snipes, the now-freed peoples of France, Germany, Japan, Eastern Europe, Korea, the Balkans, Panama, Grenada, Afghanistan, and Iraq owe a great deal to thousands of dead Americans, too often forgotten, who in awful places like the Hürtgen Forest, Tarawa, Monte Casino, Chosun, Hue, Panama City, Mazar-e-Sharif–and Fallujah–battled and defeated Nazis, militarists, Fascists, Communists, and Dark-Age Islamists so that millions of others might have the freedom that the rest of us lesser folk too often take for granted as our birthright. 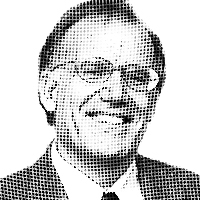 –Victor Davis Hanson is a military historian and a senior fellow at the Hoover Institution at Stanford University. His website is victorhanson.com.